The first Art of Blending class was a fantastic journey for my students and me! I was pleased at the progress made each week by my students, and they, in turn, were excited to share their artwork in the classroom gallery. The class hummed along as busy as a beehive in summer all the way through the 10 weeks of class. A comment I heard fairly often from Art of Blending students went something like this: “I thought I knew a lot about Blend Modes, but this has blown me away!” It just goes to show that sometimes you don’t know what you don’t know until someone shows you. 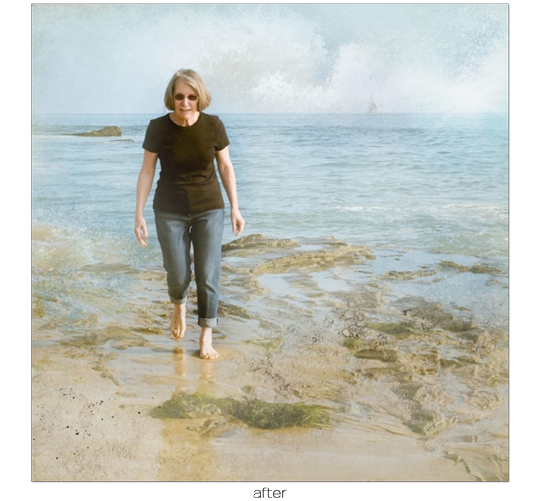 In the original Art of Blending class, we had beginners all the way through advanced students, but the cool thing about Blend Modes is that you don’t have to be an expert in Photoshop or Elements to create amazing art. Below are some examples of my students’ art. All these examples are from The Art of Blending, Part 1. Click on an image to see it in the gallery. While being part of a teacher-led class carries a certain amount of excitement, the advantage of a self-paced class is that you can take it entirely at your own speed and fit it into your schedule. And you can still share your art and pages in our regular gallery for everyone to enjoy. Here’s your chance to win a FREE seat in Linda Sattgast’s class—The Art of Blending, Part 1. All you have to do is tell us how you would rate your blending knowledge (contest details to follow). Novice—I’m lost. I know where the Blend Modes are, but their uses elude me. Hobbiest—I’m a little shaky. I’ve followed a few blending tutorials and have created a few blended scrapbook pages. Confident—I feel comfortable. I use Blend Modes on my photos and/or projects fairly often. Expert—I’m awesome! I’ve taken blending classes and feel very comfortable in my extensive blending knowledge. Yay me! If you already purchased a seat in this class, get a refund for the cost of The Art of Blending, Part 1. Tell us how you rate your blending knowledge (Novice, Hobbiest, Confident, Expert) by commenting below. One comment/entry per person, please. Late comments are welcome but will not be eligible for the drawing. Collect all eligible comments from this blogpost on Monday, Oct 14, 2013. We’ll draw a winner via random generator. The winner will be emailed directly on Monday, Oct 14, 2013. The winner of this drawing will be announced in Issue 41 of the Digital Scrapper News. The winner of the FREE class is Bronwen Wheeldon of Toowoomba, Austrailia. All comments are moderated. Please allow time for your comment to appear. Thanks! I am a hobbyist who enjoys photo manipulation. Love learning new techniques and would enjoy learning new blending techniques. Thank you for offering this class and others too! I am below novice on blending and would love to win a seat in the class! Definitely a novice. I’m so new to digital scrap booking I squeak. I am a NOVICE! I don’t know anything about blend modes and would love to learn how to use them. A novice with strong digital scrapbooking skills but would love to learn more artistic techniques. This blending class looks wonderful! I am an artist (watercolor, acrylic and mixed media) and LOVE the effects you are showing in your finished blend mode artworks! I can see it bbeing wonderful for making cards and also for ideas for my paintings. I only know a bit on Photoshop Elements, but would really like to do more. I am so much a novice it isn’t even funny!!! Absolutely a novice. I just started learning Photoshop Elements recently! I am ready to learn more! I’m a hobbyist, I can get the blends to work sometimes, sometimes, not so well. Sadly, I’d still describe myself as novice. I faithfully bookmark tutorials and videos on the topic, but haven’t really tried blending to my satisfaction. I would love to learn how to create some of the amazing transitions shown above! Thank you for gifting one of us with this class. Novice! Definitely a novice when it comes to blending. I love the look and know it would enhance a number of book projects I am working on…albums of childhood pics for my grown children, a family genealogy project and a few others. I have loved the class I took previously and learned SO much!! I think I sit between Hobbyist and Confident, but will be modest and say Hobbyist!! Seeing the examples from the class in this blog and in the gallery has inspired me and I would certainly love to learn more. I’m a hobbiest and would love to learn more. Certainly a novice! Trying to learn the new ways of doing things. Your tutorials and lessons are most valuable! NOVICE!!!!! For sure. I wish I were a Hobbiest or more, but quite frankly, I am not. I have seen this technique at a conference I was at, but it wasn’t a class so I was kinda lost. This would mean so very much and I thank you for the chance to win!!! I’m working on a genealogy scrapbook and believe that blending techniques are just what is needed to create the perfect end result I’m looking for. I’d love to win! Thanks for offering the opportunity. I’m a hobbyist, have just dabbled but would love to learn more. Thanks for the opportunity! I am somewhere in between a novice and hobbiest! I’ve used blend modes by trial and error, but never for artsy scrapbooking purposes, and am quite out of my depths! Very much a Novice. I have tried a little bit of blending but I really need some help. I loved all the examples (above) and would love to learn how to do it. Thanks for the chance to win a seat in your class. Hi Linda! I subscribe to Digital Scrapper and love your classes. I don’t know much about blending and would love to have a chance to win your class so I can learn more about blending modes! My attempts look so amateurish that I am easily discouraged. I love the examples shared and would be so pleased to develop my blending skills. Novice! I sure would like to gain confidence in this area. Hobbiest—I’m a little shaky. I’ve followed a few blending tutorials and have created a few blended scrapbook pages. Thanks for the opportunity. I’m a Hobbiest, for sure. I dabble with blends, mostly with Premier monthly videos as my guide. Anxious to take wing and apply artistic blends to special photos. I am probably a hobbiest. I have done some blending with texture overlays. There’s no doubt that I’m a novice. I look at those beautiful pages and think to myself that I would LOVE to be able to do that – – but I don’t even know how to start. I know where the blending modes are, but when I try to use them, it looks terrible. I surely do have a LOT to learn from you! Thanks for the chance to win a free class. Most definitely a novice. HELP!!! I’m a hobbyist–looking forward to taking the class because I love the beautiful pages that I see coming out of the class. I’ve certain got a lot to learn. I am definitely a novice, but am willing to learn. I am a hobbyist. I have purchased blending kits and played with them. They never look like the beautiful ones in the examples, but they are better than the original. Would love to learn more! novice,i just cannot get started,nothing turns out right! Because of you, I am VERY proud to say I am a hobbiest! I drink up your site almost every day and actually was so upset when I missed this class. It took my breath away to see it being available again!!! Today was a great day! I would love to win this class. Thank you for doing this. Thanks for allowing us the chance to win! Linda is the Best! I’m a hobbyist but I can tell from the examples that I have a LOT to learn. I AM AN ABSOLUTE NOVICE!! I haven’t a clue where to start. I would LOVE to be an expert, through, and would also love to create the truly beautiful pictures as shown in the examples above. I am truly awestruck at how beautiful they are! I am excited to learn. I am definitely a novice. I love the artistic look/feel of these blended works, and I would like to tap into this more artistic side of myself to discover whether I actually have any abilities in this area! Novice. I would love to learn how to make such beautiful pictures with blending modes. Hobbiest but would love to learn more. Wow, this is wonderful opportunity! I feel quite confident using blending modes or blending images with a background, I love blending in my pages and I dare say Layouts with blending in it are my best ones, a nice blending is a fantastic way to create a special feeling in a page, just the perfect touch in many cases. But there are so many ways to blend and so many things to learn that I would definetly love this class. The chance to attend it for free for those on a low budget just like me is simply great! I am a novice. I would like to learn how to do the scrapbook pages with the beautiful blending techniques. It would be fun and exciting to create scrapbook pages like that. Thanks for showing us what is possible and the chance to win instruction. I am a complete novice. I use PSE 9 at present and have been thinking of trying 12. I have never “blended” but use my collection of papers and elements to make cards for friends and relatives. It is amazing that simple snapshots can be turned into these beautiful pictures and I would love to be able to do that. Thank you for a chance to win the class. I am a novice, but would love to learn. I started getting into digital scrapping about 5 years ago using photoshop elements. I love all the techniques that you show and blending is definitely one I want to learn. Have done some “fiddling” around, but nothing I’m proud of yet. (Hoping this posts this time.) Confident, but we all have room for growth & improvement! I am a novice and am truly amazed with what Linda can do with blending modes. I am a notice. I am completely blown away by the examples. Would love to win this! Hobbiest – but love to dabble with it sometimes. I am confident, I use blending modes all the time on my photos and LO’s. I’m a hobbyist and would love to win the class. Novice, but loved the pictures you have posted and would love to improved. Thank you. I’m definitely a Novice. 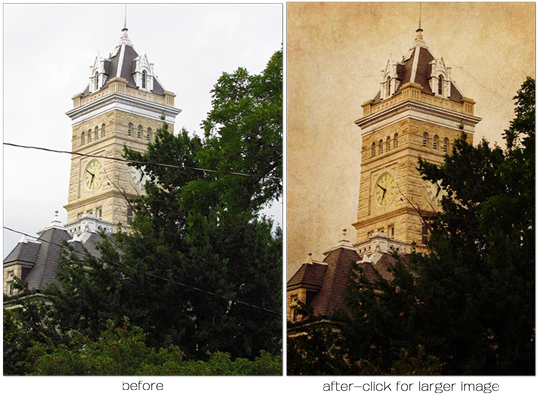 I know where the Blend Modes are and from time to time I try to use them but rather for the purpose of enhancing quality of my photos than creating effects I can see in the examples. I am definately a novice. While I have admired it on many layouts and wanted to learn about blending for some time, I have always shied away from it. This would be a fun way and a great chance to learn. NOVICE. I know virtually nothing but have wanted to learn for a long time. Somewhere between novice and hobbyist. I have played a little with blending, but I want to know why each mode does what it does. I’m a novice. I love the ‘after’ photos with different colors, textures, and feel to them…I’m always impressed with how “professional” they look afterwards. Which is yet another reason I’d like to take the plunge and have the time to actually work on my photos more. I see value in pretty things, and if I can make my own photos prettier, I would love it! I’m somewhere between Novice and Hobbyist. I’ve done a little bit of blending using tutorials to achieve a look but I am by no means confident but I love the artsy look you can give an ordinary photo. I know a lot about PSE for basics, but have very limited knowledge of blending. I would love to know more so I can be more creative with photos. I consider myself borderline novice/hobbyist. I need lots more practice and learning. I look at ‘blended’ pictures longingly! I don’t have a clue, but I really would love to learn. They make me go Aaah every time I see a nice one! I’m a hobbyist. I’ve tried some textures and blending modes, but they certainly don’t come out as artistic as the ones I’ve seen on your page! Mine look a little too “artificial.” I’d love to see how it’s really done! Thanks. I am a novice. I have not played around with blending at all. Would love to win this to learn. I still feel like a novice with blending, although I’ve had PSE since version 4. I’d love to learn how to know when to use it and when not to. A few lessons would be very helpful!! Hobbyist in PSE but totally a Novice when it comes to Blend Modes! I have read other tutorials but have to see it to get it. I have taken two art blending classes now and feel confident in my blending. I have taken this wonderful class and it is well worth every penny of it! I would like to try to win this for my sister. Thanks for the chance! Hobbyist-I’ve played with some of the blends but usually not with good results, so I don’t use them very often, which only makes it harder. I consider myself a hobbyist, but I would love to learn more about blending. I love the examples that you posted and would love to learn how to use that technique more often than I do now. So much to learn, so little time! Your classes are always entertaining, and to the point. Thank you for the opportunity to enter the chance to participate in a class of yours. I guess I am a hobbyist although I know I have lots to learn. Thanks for the chance to win! I am a total novice on blending modes…. have NO clue and find the above examples to be absolutely beautiful. Thanks for an opportunity to win this option. I think that I am maybe in between Novice and Hobbiest. I have tried some blending but would absolutely love to learn more! I am a novice. The class examples are amazing and very inspiring! I would love to learn the art of blending. I am a novice, but a very motivated to learn novice, for sure. The pictures you give as an example are great motivators for sure. Thanks for the chance to win! I am pretty much a novice in this area. I have Photoshop and use it for basic photo editing. I would definitely like to learn how to use the more challenging aspects of Photoshop. I spent a year with my Dad – prior to his passing – converting all of the old family negatives into digital format. With my Dad’s help we were able to identify and date most of the negatives. While I had good success in scanning most, as with many old negatives, there was some degradation of the film. I think with the blending class I could revive those photos and it would give me incentive to finish the project my Dad and I started. Our goal was to create an album of the all photos to pass on to his surviving brothers and their families. Thank you! While I would like to say that I’m at least a hobbyist, I must admit that I am no more than a novice, especially with blend modes. I’d love to learn more about how to use them properly! I am a novice – I would enjoy learning this technique! I would love to learn about blending, I have seen many projects that use the blending mode, and can’t seem to grasp how you do it. 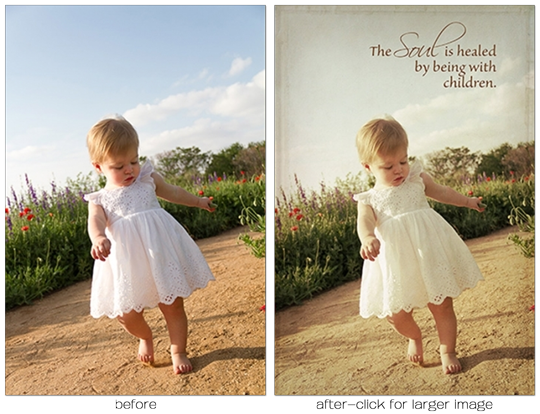 Also, Linda Sattgast is one of the best teachers for Digital Scrap booking, and PhotoShop Elements that it would be wonderful to win the free class!! Total novice when it pertains to blending! Love photography, have PSE11 and am thinking about upgrading to 12. The timing to take this class could not be better. I really need to take my images to the next level! I’m certainly a NOVICE in this area. Haven’t had the time to try any of the techniques but don’t have the time either when I’m not certain what I am doing. Thanks for an opportunity to win a class! Hobbyist for sure….I love exploring,experimenting and creating. Always love to learn a new technique…Thank you for the opportunity. Blending modes scare me. When I try them on my own, the results are never what I hope for. I would love to create pages like the examples above. I am a novice! I would love to win this class and learn all about it! Novice—I’m lost. I know where the Blend Modes are, but their uses elude me. — I’m impressed by the great results. I’m a confident hobbiest. I can recreate what has be taught in previous classes with good results. But when it comes to thinking up my own ideas I’m a novice hobbiest! Hobbiest. I have created some scrapbook pages with blending and even taken some photos of grass, wood, etc to use with blending but would love to learn more! I am a novice but I love scrapbooking! I am working on a digital memory book for my oldest granddaughter who will graduate high school in the spring. This is the first of at least five books I plan on doing – one for each grandchild – and I want it to be special and unique. So learning new techniques is definitely a plus!! I would say I am a hobbyist, but always seem to second guess myself when blending. I would love to learn more, and erase my second guessing when blending. Thanks for the chance to win. I’m so lost, I do not even know where the blending modes are, total NOVICE here!!!! I am definitely a novice but I am signed up for the close and very inspired by the sample layouts shown here! I am a novice and new to digital scrap booking ! I love the look and want to learn more. I am between novice and hobbieat and i really like to learn more about blend modes. Thanks for the chance ! I’m reasonably confident using blend modes. Linda’s classes have expanded my creativity over the years and I always love to learn more. Congratulations, Bron. You are the winner of the FREE seat in Linda’s Art of Blending, Part 1 class! We will be contacting you shortly. I would say I am confident. However, I know Linda always has exciting new techniques and love, love the classes! NOVICE…Yep…knows just about NOTHING! As a traditional scrapper, paper crafter…Digi scrapping is becoming more and more intriguing. I have been a member of your site for a long time, but only recently became a premier member and decided to really begin to give this digi thing a go. The examples above are AMAZING and I would love to learn how to do them. Either way, thank you for faithfully sharing your knowledge with the crafty community! I can confidently say that I am definitely a NOVICE. I have purchased the class, and am looking forward to having time to do the lessons! As everyone says, the samples are fantastic! Thanks for the chance to win! Novice…I don’t even know where the blend modes are/is but I’m a quick learner. I love the look. I’m a hobbiest. Need all the help I can get! Thanks for your generosity in giving us a chance to win. Novice or complete beginner…how about clueless how to get PS to do THAT!!!! I’m a hobbyist right now and having fun! Yep I’m a novice. Would love to learn, I love your examples. I am an expert, but am always trolling for new ideas. I’ve taken several of your classes and don’t know a thing about blending but would love to learn. I am a total novice. Although I have always been intrigued by the enchanting results that those bolder than I can achieve, I have been hesitant to try this myself. No longer, I will definitely take the class. I am a hobbiest with blending. I’ve used it on scrapbook pages, but I usually just try them randomly until I find one that looks nice. I’d love to learn more. I’m a Novice! There is so much to learn… and some things to relearn. I haven’t used Photoshop Elements in a couple years, so even my basic skills are a bit rusty. Would love to win a seat in this class! Novice – definitely. Could REALLY use a class! I am a complete novice to blending. I don’t think I’ve ever use the blending feature but the after pictures you’ve shown just blow me away. I would love to learn how to do this! Thank you for the opportunity to win a seat in the class. Novice! I have idea how to accomplish this, but I love the examples. I am really new to PSE 11. I have only been using it the last few months. I would love to learn more about blending. I suppose I am Novice, but not hopelessly lost. I have experimented a little with the blending modes, but I have no idea how to do the pictures above! I am definitely a novice, but so eager to learn!! I’m a novice and don’t even know where the blend modes are! I feel very confident because I took Lindas class and grew ‘many inches’ on the confidence scale each time a new lesson was introduced and practiced! I would recommend this class for anyone who would wants become a master blender! I’m a hobbyist – any of my blending only gets there by accident although I’m currently doing a blending course. I’d love to win this one so I can continue to learn. I am a complete NOVICE. Don’t know the first thing about blending modes. But would love to learn how – I could really shake up my pages! Great samples. I would love to learn about blending – it looks really cool, but I haven’t a clue as to how to start. Would love to take part in class and get a chance to learn a new skill. I consider myself to be a novice. For the Scrap Page Design class, I did blend some papers together to texturize a plain background paper by using the opacity function and that didn’t look too bad. Then, I tried to blend a photo into a background using opacity and a mask, but that came out so bad I don’t want to show it to anyone, including my husband and daughter, whose pictures I used. I really need to take this class and am glad it is now being offered. I’m signing up for the first class and, if I win, I will use the credit to take the second part when it is offered. I am a novice for sure. I would love to learn more about blending. Novice I would say. I am trying to help my sister finish her baby book and I think this class would really help me to make the book much more artistic. I’ll cross my fingers. I consider myself a hobbiest, I have tried a few pages but would love to learn. I love seeing all of the blending done and posted in the gallery and would love to have the opportunity to take the class! Novice. I signed up for the summer class but was much too busy outside to take part. I now have a new fish pond and spent a lot of time outside this past summer. I tried the first lesson and it was great but by the time I came in from outdoors I was too tired to attempt to learn anything new. Since the weather is getting cooler here I will have more time for learning digital scrapping. Somewhere between Hobbiest and Confident. I’ve used blend modes but don’t feel super confident with them. The class looks fantastic – thanks for the chance to win. I am thrilled at the possibility of learning blending. From the examples I have seen, it seems that this is the ‘finishing touch’ or the work that leads up to that perfect finishing touch. I have so much to learn… and I am thrilled at the opportunity. I now have a 6 week old GREAT grandson. I so want to leave him ppictures that he may enjoy when he grows up. I am a blessed woman! Novice for sure, especially after seeing these beautiful before and after pictures! I Sooooo wanna be in this class! I’m a hobbyist, expert wannabe. Total novice. I love the look but have not been able to achieve it. If I did get it once, it was totally an accident. I am a novice at blending. My collages look a bit childish compared to the artistic images on DS. I keep hoping to take a class here but finances are an issue, being a SAHM. My daughter is growing into a lovely young woman and my son is so “RAAAAR BOY” and I imagine many blends to tell the story of their lives. Grandchild portraits are my passion, so I’d love to know more in order to give it my best effort! As a hobbyist, I work hard at it, but I know my limitations. NOVICE – Blending!! What is that? Love the look and would love to learn how to make my photos look this good. After taking the class, I consider myself a hobbiest. I use blending now and again. I use some of the techniques to improve my photos. I have had some success that I am pleased with. Some of my attempts haven’t worked so well. I keep trying. I have a friend who would love the class. Novice—, love the look. Have wondered HOW to do it! Would love to sit in on this class! Thanks for the opportunity. You are so talented and generous. Thank you for sharing with us all. novice- brand new to all of this! I am confident but would love to do the class, there is always more to learn! Novice but would love to learn how to blend! I have owned all of the photoshop elements for years, and really have no clue how to use it. I am not even a novice! I am definitely a Novice but I’d love to grow and learn!! I am a total Novice. I would love to learn this technique! Novice for sure. Thanks so much for the opportunity to improve my skills with a free seat in the class! Total novice. Barely know how to use the software. I have a ton of photos (old and new) I want to work on. Definitely a novice! I would love this class and everyone’s work from the previous classes is stunning! I’m confident, would love to learn more. I am a hobbiest. I do enjoy changing photos into art. I am a hobbiest and would love to learn more. Very much a novice – I always have to try each blending mode to remember what they do. And that’s just for simple blending! Would love to learn more! What’s blending. OK maybe I know what that is. Still a novice though. I would call myself a Hobbiest. Though I feel confident in PS I have fairly used blending modes and would love to learn more. Shaking in my boots novice but it looks so cool. I’ll definitely be in class. I am completely a novice!!! but would love to learn from your class. I a novice – no doubt about it! I know where they are – but haven’t a clue how to use them to their fullest. That’s a Novice. Although, for almost 3 years, I have spent a lot of time looking at the beautiful creations that can be made with blending, I guess that I am just a Hobbist because I feel I am missing the knowledge to blend as I would need to do what I want to do. I’m between a hobbiest and confident. I would love the opportunity to increase my knowledge in this area. Thanks for the chance to do so. I would consider myself confident. However, I have found that the more you know, the more you want to know. There is always another technique which wets your appetite, making you want to start another page and surprise yourself with the results. I’m somewhere between clueless and novice when it comes to blending modes! Sure would love to learn how to use this technique. Thanks for a chance to win. I am a novice but looking at the samples I would love to learn to do this. Thanks for the chance to win. I love blending modes and I’ve done some nice photomanipulations, integrating several photos into a final project. I am a hobbiest. I have taken several tutorials, but have never done anything on my own. Thank you for the chance to win. I am a novice novice. Just learning how to use PSE for scrapbooking. I have been using SM Storybook Creator until now. No doubt, I’m a novice. I’m such a novice I’m not exactly sure what blending is. Thank you for the opportunity to learn. I have given it a little try, but usually use someone else’s ideas to try to give it a try. I would call that a novice. I would love to be able to give the class a try. Your examples are great. Struggling to secure my continued novice scrapping and photoshopping! I am novice who has dabbled in digital scrapbooking for several years. Most of what I’ve learned has come from your website and I’m looking forward to spending more time with it. I love the effects of blending. I am a hobbiest. I have used blending modes a few times and then forget what I’ve learned. But I’ve done a few that looked pretty good. I’m definitely a novice. I have gotten better but still have A LOT to learn!! I would so love to win!! Definitely a novice. I always love Linda’s classes. Thanks for the chance to view this one. I am definitely a novice, but after looking at the sample pictures, I realize that this course could move me up to a confident or expert level. I’d say I’m a hobbiest. The class examples really make me want to learn more. They’re so gorgeous! A Novice!!! Hoping ton learn new things! I consider myself a hobbiest. I know enough to be dangerous. I get a great idea and then don’t know how to pull it off. Very frustrating! Would love to know more. I am between a hobbiest and confident…but I want to be an expert!! I’m a novice with a great desire to learn. Want to really focus on learning and this class could kick start me into really applying the skills. I’m definitely novice, and would love to learn how to use them. Novice. Totally and completely a novice. Definitely a novice. I would love to be able to create pictures like the examples shown here. Novice! Or maybe even less… clueless. Yep that would be my skill level. Definitely clueless. But I would love to learn. I am a hobbiest. I’ve played with it a little in the past, but by no means do I know it all. Thanks for the opportunity. I am in the ‘hobbyist’ category but I’m motivated to become Confidant or Expert! Thanks for offering up a seat! I am definitely a novice. I am somewhat intimidated by the thought of trying them, however I would love a chance to learn how to using them. I feel I am somewhere between confident and expert. I put in a lot of hours on my PS CS6! I would love to learn more! Thank you! I guess that I’m sitting somewhere in the middle. I’m fairly confident, but would love to learn more. I am a hobbyist and could use more knowledge on blending. The examples are stunning. Thank you for the chance to win. I’m some where inbetween Hobbist and confident. Would like to learn more to really bring out the creative jucies. I am a Novice of all novices. Those examples were incredible and I would love how to learn. Thanks for sharing your amazing talents and knowledge! Is there a spot between Novice and Hobbiest? I have tried tutorials, but my end product looks nothing like the example. I am completely frustrated trying! Thank you for a chance to win. The class looks amazing. I’m probably somewhere between hobbiest and confident… I have found it exciting to get a little more comfortable, but I’m sure there’s still so much to learn. Thanks for the opportunity! I think I would classify myself as an advanced novice. I use blend modes occasionally, but have no idea what the effects are going to be. It would be wonderful to have a greater understanding of the possibilities. Thanks for the class! I’m a “confident” Photoshop CS5 user who admires the beautiful layouts that incorporate the blending techniques. I’d love to learn more! How about advanced novice? I know where the blend mode options and have used them on occasion, but it’s always just hit and miss on what works. I’d like to be more familiar with the outcome to be expected of the different modes. Definitely a novice. Would love to be able to accomplish some of the looks I see above. I am somewhat knowledgeable about blending. I just have not spent a lot of time doing it. I need a push to do it successfully. There is no doubt I am a novice, novice. Would love to learn about blending modes from the experts. I really appreciate all that I have learned from your classes and am eager to learn more. In between novice & hobbyist. I know just enough to get in trouble! I am a hobbiest. I’ve played a little bit with the blending modes and erasing parts, but that’s about it. My blending knowledge is a hobbyist level. I would like to learn more about it. I am definitely a Novice! But the examples above are beautiful and it would be fun to learn how to do it. I am just begining to learn to use Photoshop Elements, and “blending” just takes my breath away! I would so love to be able to take my photos to this level of beauty! I am definitely a Novice. I would love to add this as a tool in my digi-scrapping. I am definitely a novice. I am certainly a novice. Like Sergeant Schultz, “I know nothing!” However, I would really like to learn. I am just learning to use Photoshop Elements and “blending” just takes my breath away. I would so love to take my photographs to this level of beauty. I’m dipped in a tow but no more than a hobbiest, a bit shaky on many effects and would love to know more. Your results are always amazing and I know there’s so much to learn. I am confident because I use Photoshop every day. However, it seems like I shouldn’t say that, haha! I am confident though. I absolutely love blending and would like to learn more. Oh definitely a hobbiest at this point, but would love to become more advanced! A novice, for sure. I do use one blending mode. I would love to learn more. Definitely a hobbiest. Can do simple blends (photos with background papers for instance), but the more complicated looks elude me. I am so very much a novice! Have seen some videos, but when I get into PSE, I am lost. I am definitely a novice, but would love to learn how to Blend. I am certainly a hobbiest. I have created a few blended scrapbook pages, and enjoy trying new blending tutorials.I would love to win your class. I consider myself confident in my use of blending modes. That said, I know there is a lot more to learn and I would love to win a seat in Linda’s class. Hobbiest but leaning toward more confident. I’m definitely a novice! I’m fairly new to photoshop, but I’m absolutely enjoying learning new tricks and techniques. Blend modes look very intriguing. I am between a novice and a hobbyist. I know where they are and have seen some tutorials, but not created a page using them, just a couple of pictures. Thank you for the opportunity. I am a hobbiest but I would love to become an expert. These examples are lovely. I am definitely a novice. The only “blended” layouts I have done have been with the use of blended templates. I would love to know how to do it myself and how to even do a better job with the templates. Thanks for the chance to win the class. I’m definitely a novice and tend to shy away from using blend modes if I can. I’m somewhere between novice and hobbiest. I’ve read a couple of magazine articles or book chapters and experimented a little, but I haven’t been happy with my results. I would love to be able to produce something comparable to the student examples shown above. I am definitely a novice! Having 6 kids and my second set of twins on the way I would love to be able to blend their pictures into beautiful lasting memories! I am a novice. I am not sure where you use blending, but I would like to learn. WOW! I’m blown away by all the examples that are shown of what you can do with blending. I am definitely a novice who would like to learn how to turn my photos into such beautiful scrapbook pages. I am probably somewhere between hobbiest and confident, I have a rough idea of what I am doing but desperately need to learn more to enhance my pages. I haven’t done anything with blend modes, so I’m definitely a novice. I would call myself a hobbyist..I do know about blends, but when I try I get very frustrated and just give up. I know I could learn if I took a class. I would love to win a class from you. Thank you for my chance. Considering I am not sure I even know where to find the blend modes, I may be even more green than novice! The examples from the last class are an inspiration to find out more. This I would LOVE to win. I would consider myself a Hobbiest and always admirer layouts that are done with some great blending. It would be so much fun to learn to really use these great features to make my photos/layouts pop. I am maybe a Hobbiest……I play with blends but really need to understand using them more. I am a hobbyist, I do know about blending but everytime I try I get frustrated and just give up. I know I could learn if I took some classes..I would love to win one of your classes! Thank you for my chance. I am in the Pre-Novice boat, too…. in fact I would call it Clueless! And besides that, I am sorely in need of some dedicated Play and Learn time; really hoping for a seat in that class!!! I have never used Blending Modes, so I am surely a novice. However, I love the results shown in this blog! I’m pretty confident about blend modes, but I’m always open to learning more — and the examples you show are pretty awesome! Thanks for the chance to win a seat in the class! I would love to win a seat in this class because my budget hasn’t grown as fast as my expenses!
. . . and it’s way past time for me to take time out for myself and learn more skills so I can enjoy my passion even more. Love love love Digital Scrapper!!! I am most certainly a novice! I would love to learn blending modes! No question about it, I am a novice! Hobbiest now, but hopefully after the class I would move up to Confident. I’d have to consider myself a hobbyist. I’ve used the blending modes sparingly before, but never created a work of art such as those shown. Thank you so much for the chance to win!! My skills in blending are probably nearing confident. I use blending more and more, but would love to learn more, and gain more confidence. Novice – but fast learner! I am between a hobbiest and confident, but I find that I tend to do the same things over and over. Would love to expand my skills! I’m a hobbiest after taking the first Art Blends class, but need much more practice. I’m a novice for sure! Have never used blending modes! Thanks for the chance to win a seat! I am a novice. I have loved looking at the befores and afters and yearn to be able to create them. There is so much beauty in a simple picture, just awaiting the knowledge to unlock it. I am a super novice! I have never used digital blending. The examples are wonderful! I would love to learn how to do this!!! I think I fall in the Hobbiest category. I have done some blending but would love to learn more. Thanks for the chance to win. I’m a novice. I’ve never tried blending, but these photos are so beautiful, I want to give it a try! I’m fairly comfortable with blend modes. But, I’ve used them more to “fix” photos — adjust white balance, touch up portraits, etc. I think it would be great to learn how to apply them in a more “artful” manner as these examples from the class show. 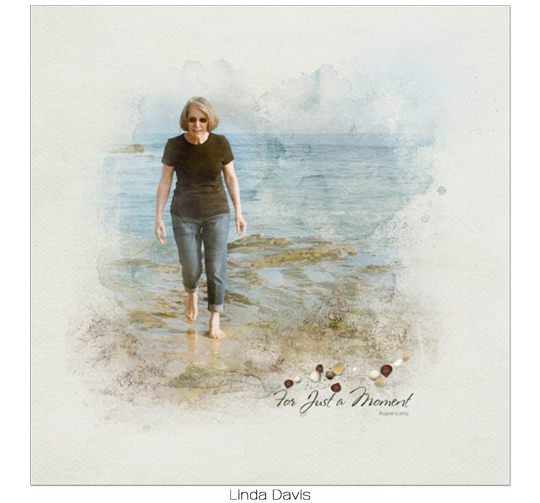 I agree with Jan. I’m am lower than a novice, but absolutely love what blending can do to a photo. I think I am between hobbyist and confident. I am confident when following the instructions of others, but not so confident at winging it on my own. Would love a free seat in this class! This technique intrigues me and it is one of those things I want to do to incorporate in a planned journal. I just become frozen when it goes beyond the basics of Photoshop Elements. I am just now tackling actions in PSE11 — and how simple is that now? I am a hobbiest all I know of blending has been from my premier videos – I need the videos to follow along with! I’m going to say sometimes hobbyist and sometimes confident, It really depends ont he photo, I would love to be Expert, but will settle for being more confident. I am a novice, that doesn’t even know where the blending buttons are. I enjoy looking at the pages done by others and thought you had to be an expert to produce them. I would love to learn how. Thanks. I am a complete novice! I just bought Photoshop Elements 12 last week. I would love to learn more. I am very much a novice. I am following your class to learn to use Photoshop Elements, but haven’t ventured into blending yet. I would love to learn more. OK, I’m going to go with confident but if I win this class (crossing my fingers ;)) I wonder if I’d be able to “confidently” say that! LOL Thanks so much for the chance to win! I am confident!!! There, I said it! I loved the class and would love to win it and share with a friend. Thanks for offering the giveaway. I am a hobbiest. I love to play with it, and I’d live to learn more! I think I am a Hobbiest. 🙂 Thanks for a chance to win!! I am very much a novice at blending and would like to learn the tricks of it. I am definitely a novice with blending. I would love to learn how to do these amazing effects! I’m definitely a novice. I need to learn more about this amazing technique. I started digital scrapping after many years paper scrapping, even teaching. I started with a CD of your, Linda, first DVD. I have been a member but still consider myself a NOVICE when it comes to blending. I love photography, but only rarely am able to photograph people. I would love to enhance all those photos I have taken of animals, birds, flowers and things. My skill is somewhere between novice and hobbiest. I have experimented some, but definitely need HELP! Thanks for the chance to win! Novice! I love the look, but have no idea how to get there. I am probably at the hobbiest level — a lot of trial and error going on… “Ew! not that one!” and “Oh, wow! look at that!” Would love to be more confident. I’m between a Novice and Hobbiest. I know what blend modes are and how to use them somewhat, but my finished product looks like none of the finished products above. More like one big hot mess!! I am a total novice. I have so admired the layouts in the digi world that consists of blending and the beautiful artistic effects that blending brings to a layout. They look like paintings and so professional. I would love to learn how to achieve the same effects and to take my layouts to a higher level than just a regular snapshot of my subject. I think I’m fairly confident, but your examples make we want to take this a step further….they are beautiful. I am a hobbiest. I play with it, but have no idea why I end up with the results I get. Would definitely love to learn more!!!! I am somewhere between a novice and hobbiest. I’ve done some blending, but don’t really have a good grasp of the various modes and what they can do. I absolutely love the look of the blended samples you’ve shown and want to learn how to do that! I am a novice, but prepare slideshows for church services and would love to improve my presentations. I LOVE blending and am fairly confident. I use them often and really enjoy experimenting. As with all your classes I know there is much more to learn and I would love the chance to take this class. Thanks for ALL of your instruction and classes! I am definitely a novice, but would be thrilled for the opportunity to learn. The example given are by students are truly amazing! I would consider myself becoming a confident blender. Although I would still love to learn more so that I would be expert at blending. I still look at blended photos/layouts and marvel at their beauty and try to figure out just how it was done to achieve that particular look. I would love to win a chance to learn! Hobbyist – I can comfortably use blend modes to do basic things like lighten and darken images but have little experience beyond that. I would say I am a hobbiest at blending. I love how it looks on my pics and pages but, I would love to learn more about hot to do it with “style”. lol Thanks for the chance! I’m definitely a novice and would love to increase my blending knowledge. Thanks for the chance to win! I am a novice and really need to learn to utilize that tool more. I am a hobbieat and would to move up. Absolute novice, it intrigues me but I have no idea where to start. Would love to learn, Thanks for the chance. I am most definitely a novice. I would absolutely love to learn more and become much more educated and thus confident. I am a hobbieat and blending is he one thing that I want to do that really scares me. I love all or the examples. I really hope to win,! I am definitely a Novice! I think I’m fairly confident, but I’d love to be an expert! I do use blending modes often and have fun experimenting. Thanks for the chance! I am certainly a novice! Is there anything lower than a novice? Maybe a Pre-Novice. Anyway, I would love to learn.